1) (Londonderry; granted to Sir Andrew Ferguson, Bart., 1801, extinct). Az. a buckle ar. betw. three boars’ heads couped or. Crest—A thistle ppr. with a bee a lighting thereon or. Motto—Dulcius ex asperis. 2) (exemplified, 1843, to John Magennis, Esq., of Burt House, co. Donegal, on his assuming, by royal licence, the surname of Ferguson in lieu of Magennis, in compliance with the desire of his maternal uncle, Andrew Ferguson, Esq., of Burt House). Az. a buckle or, betw. three boars’ heads erased ar. Crest—On a thistle ppr. a bee or, winged az. Motto—Dulcius ex asperis. 3) (London). Az. a buckle ar. betw. three hoars’ heads erased or, within a bordure of the second, charged with four crosses crosslet fitchee gu. Crest—An arm in armour, grasping a broken spear all ppr. Motto—True to the last. 4) (Major James Ferguson, 1691). Az. a buckle ar. betw. three boars’ heads couped ar. within a bordure embattled of the second. Crest—A dexter hand issuing from a cloud, grasping a broken spear in bend ppr. Motto—Arte et animo. 5) (Craigdarroch, co. Dumfries). Ar. a lion ramp. az. on a chief gu. a star betw. a cross crosslet fitchee and a rose of the field. Crest—A dexter hand grasping a broken spear bendways ppr. Motto—Vi et arte. 6) (Pitfour, co. Aberdeen). Az. a buckle ar. betw. three boars’ heads couped or, within a bordure of the second. Crest—A crescent or, rising from a cloud ppr. Motto—Virtute. 7) (Raith, co. Fife). Ar. a lion ramp az. betw. three buckles gu. a chief chequy az. and of the first. Crest—A demi lion ppr. holding betw. the paws a buckle gu. Motto—Fortuna comes. 8) (Kilkerran, co. Ayr, bart., 1703). Az. a buckle ar. betw. three boars’ heads or, quartering Dalrymple. Crest—On a thistle leaved and flowered ppr. a bee or. Motto—Ut prosim aliis. 9) (Minister of Strickmartin, 1672). Az. on a chev. ar. betw. three boars’ heads couped or, a mullet of the first. Motto—Audaces fortuna juvat. 10) (John Fergusson, R.N., 1757). Ar. a ship of war under sail ppr. on a chief az. three boars’ heads couped ar. Crest—A dexter hand grasping a broadsword ppr. Motto—Pro rege et patria. 11) (Kinnaird, Scotland). Az. on a chev. ar. betw. three boars’ heads couped or, a buckle betw. two falcons of the first. Crest—A demi lion ramp. gu. Motto—Virtus sibi praemium. 12) (London, 1785). Az. on a chev. betw. three boars’ heads couped or, a buckle gu. betw. two stars of the field. Crest—A palm tree ppr. Motto—Suh oncre crescit. 13) (Spittlehaugh, co. Peebles, bart., 1866). Ar. a lion ramp. az. on a chief engr. gu. a mullet betw. two cinquefoils of the first. Crest—A dexter hand grasping a broken spear in bend all ppr. Motto (over the crest)—Vi et arte. This Scottish and Irish Gaelic last name is a baptismal or patronymic (son of) form of the personal (first) name Fergus or Fearghus. The masculine given names Fergus is derived from Proto-Celtic words wiros meaning “man” and gustus meaning “vigour, force, or choice”. This personal name was born by several notable people in medivval times including Fergus the Great (died 645 AD, King of Ergyng, a Welsh kingdom), Fergus mac Echdach (King of Dal Riata around 780 AD, a Scottish kingdom), Saint Fegus (or Fergustian, died 730, a missionary in Scotland), and Fergus of Galloway (died 1161 AD, Lord of Galloway who was likely of Norse-Gaelic ancestry). It was also the name of an old Irish mythological figure who was the King of Ulster. George Fraser Black’s 1946 book The Surnames of Scotland, states this family derives from the septs of Mar and Atholl. One source asserts the Hebrides Islands and the western coast of Scotland were the ancestral home of this family. The name was first established in Galloway, Scotland, where they descended from the Prince of Galloway who married King Henry I of England’s daughter. Galloway was annexed to Scotland in 1234, and were considered independent before that time. There were also branches of the Ferguson family tree in Kintyre, Pitfout, Kilkerran, Cowal, Atholl, and Kinmundy. The Fergussons of Perthshire were a Highland branch of the Clan and chieftainship belonged to the Dunfallandy family. In Ireland, they family was first established in Connacht where they owned the parish of Burrishoole in 1303 AD, and were also the hereditary physicians to the O’Malley family. Some spelling variants or names with similar etymologies include Fergusson, MacFergus, MacFhearghuis, Farguson, Fargerson, Fargusson, Fergueson, Fergusonn, Ferginson, Fargie, Fergie, Ferguison, O’Fearghuis, and O’Fearghasa. This Scottish clan has the following war cry: “Clann Fhearghuis gu brath”, which means “Clan Ferguson forever”. Their plant page is the little sunflower. Their crest is a chapeau gules furred ermine, a bee on thistle proper.They claim descend from Fergus Mor, King of Dal Riata, who came to Scotland from Ireland. They are seated at Kilkerran, Ayshire. 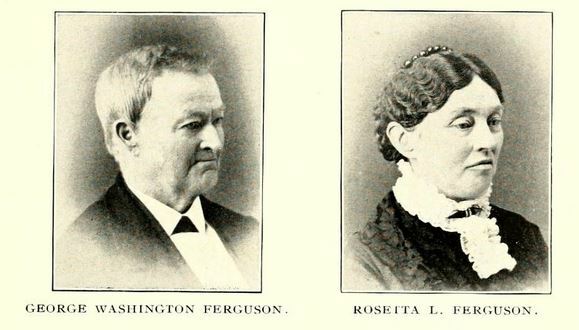 The last name Ferguson ranks 173rd in popularity in the United Status as of the 2000 Census. The name ranks particularly high in the following seven states: Virginia, Ohio, West Virginia, Indiana, South Carolina, Oklahoma, and Arkansas. The surname Ferguson frequency/commonness ranks as follows in the British Isles: England (241st), Scotland (38th), Wales (493rd), Ireland (598th) and Northern Ireland (47th). In England, it ranks highest in Cumberland. In Scotland, the surname Ferguson ranks highest in counties Clackmannanshire and Pethshire. In Wales, it ranks highest in Brecknockshire. In Ireland, it ranks highest in county Leitrim. In Northern Ireland, it ranks highest in Down, Antrim, and Londonderry. The name is also present throughout the remainder English speaking world: Canada (109th), New Zealand (143rd), Australia (113th), and South Africa (767th). Gilbert filius (son of) Fergusi was documented in 1182 AD in in the Pipe Rolls. Peter Fergesoun was recorded in 1547 AD in The History of Liddesdale and the Debateable Land. King Robert I granted some lands in Ayrshire to Fergus, son of Fergus, and in 1466 John Fergusson resigned a portion of his estate to Fergus Fergusson his son, and Janet Kennedy, his spouse. Alan Fergusii (the Latin genitive form) was burgess of Glasgow, 1422. Mychel Fargisone was admitted bergess of Dunfermline, 1499 AD. John Fergusson was documented in the Scottish Records of Kilkerran in 1466 AD. The genealogy of this family orginates in county Fife, where they possessed the estate from which they derive their designation, since the death of the 1st Earl of Melville, to whom it belonged up until 1707. Robert Ferguson was an Esquire, 1st of Raith, who was born in 1690. 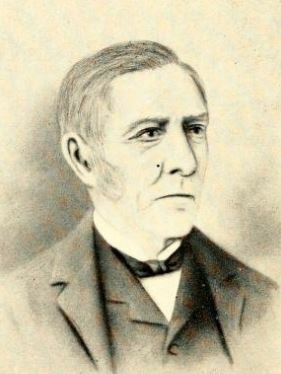 He married Mary, daughter of Joseph Beacon Townsend, but died without issue. He was succeeded by his nephew in 1781. This nephew was William Ferguson, Esquire of Raith, who married Jane, daughter of Ronald Crauford of Restalrig, and had issue with her. He was succeeded by his eldest son, Robert, an Esquire of Raith, Member of Parliament, and Lord Lieutenant of Fife. 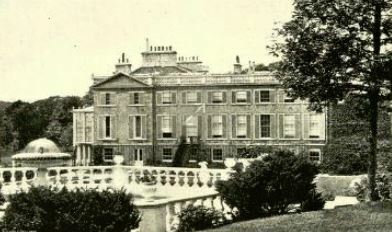 He married Mary, daughter and heiress of William Hamilton Nisbet of Direlton, but did not have issue with her. He died in 1840 and was succeeded by his brother. This brother was General Sir Ronald Crauford Feguson, a Member of Parlaiment for Nottingham, who then became of Raith. He was a gallant officer who was born at Raith House in 1773 and had a successful military career. He was the second in command at Cadiz in Holland in 1814 and and commanded a flank corps at the taking of the Cape of Good Hope. Sir Ronald married Jean, daughter of General Sir Hector Munro of Novar, and had issue with her. He was succeeded by his son, Colonel Robert Munro Fergus of Raith, county Fife and Novar, county Ross, Scotland. He was born in 1802 and was a Justice of the Peace, Deputy Lieutenant, Lieutenant-Colonel of the 79th Highlanders, and is a Member of Parliament for Kirkakly Burhgs from 1841-1861. In 1859, he married Emma, daughter of James Henry Mandeville of Merton, and fathered six children with her as follows: Ronald Craufourd Munro, Hector Munro, Robert Harry Munro, Alice Edwina, Emma Valentine Munro, and Edith Isabel Munro. He succeeded the estates in 1864 upon the death of Hugh Andrew Munro. Colonel Ferguson died in 1868 and was succeeded by his son Ronald. This Ronald Crauford Munro was of Raith, county Fife, Novar, Rosshsire, and Muirton, Morayshire was born in 1860 and succeeded his father in 1868. The Ferguson Coat of Arms (erroneously called the Ferguson Family Crest by some) is blazoned in heraldry as follows: Argent, a lion rampant azure, between three buckles gules, a chief chequy of the second, and first. Crest: A demi-lion proper holding between the paws a buckle gules. They were seated at Raith, near Kirkcaldy, as well as Novar, Evanton, and Muirton, Morayshire, Scotland. The Ferguson genealogy of this branch begins with James Ferguson, son of William of Badyfurrow, now called Manar, who entered the army during the reign of King Charles II of England, having rose to the rank of General of Brigage. He died in Holland in 1705 and had a son named James, who procured Kinmundy Coynach, and other estates/lands in 1724. He married Margaret Irvine, of the family of Longhermiston. He had a son named James. James was an Esquire of Kinmundy who married Elizabeth Urquhart, and had six daughters and three daughters with her. He was succeeded by his eldest son and heir, James Ferguson, Esq. of Kinmundy, who in 1787, married Isabella, daughter of Reverend William Brown of Craigdam, and had five sons and four daughters with her, along with other issue you died young. He died in 1816 and was succeeded by his eldest son, also named James. This James was born in 1789 and was a Justice of the Peace and Deputy Lieutenant. In 1817, he married Emilia, daughter of Reverend Robert Chalmers of Haddington, and had four issue with her: James (1819), Robert (1822), William, and Thomas. His son William Ferguson was an Esquire of Kinmundy, county Aberdeen, was born in 1823 and became a Justice of the Peace, Deputy Lieutenant, Captain in the 17th A.V.R. He succeeded his father in 1862. In 1856, he married Eliza, daughter of Andrew Williamson, a merchant of Ayr, and had one son and one daughter with her: James (married Anne Drummond and later Hester Elizabeth Hibelet) and Agnes. The Ferguson Coat of Arms (mistakenly called the Feguson Family Shield by some) has the following heraldic blazon: Azure, a buckle argent between three boars’ heads couped or, within a bordure embattled of the third. Crest: A dexter hand issuing from a cloud, grasping a broken spear in bend proper. Motto: Arte et animo. They were seated at Kinmundy, Minlaw, county Aberdeen, Scotland. Lieutenant-Colonel George Arthur of Pitfour, Aberdeen, Scotland, was a Justice of the Peace, Deputy Lieutenant, and member of the Grenadier Guards who was born in March of 1836. 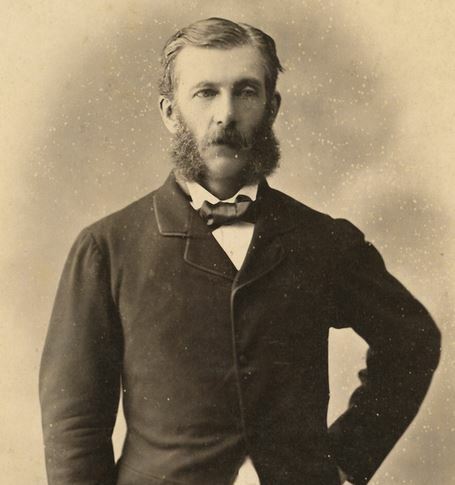 In 1861, he married Nina Maria Hood, eldest daughter of Viscount Bridport, and had six issue with her: Arthur George (1862), Francis William (1863), Edwin Augustus (1864), Charles Alexander (1873), Edith Rosa (1867), and Mary Georginia (1877). He was the son of Admiral George Ferguson of Pitfour and Elizabeth Jane Langford. This family owned the lands of Badeforrow near Inverury in the 1500s AD, and later acquired the estate of Pitfour in the parish of Old Deer. The Ferguson Arms are blazoned in heraldry as follows: Azure, a buckle argent between three boars’ heads couped or within a bordure of the second. Crest: A crescent or rising from a cloud proper. Motto: Virtute. This branch of the Ferguson family tree are of very ancient standing in the Sheriffdom of Dumfries. A member of this family was one of the first that signed the solemn league and covenant and another led a small army of men to defeat a contingent of Cromwell’s army at the Battle of Glencarin. Alexander Ferguson, a descendant of John and Matthew Fergusson, was an Esquire of Craigdarroch who was a Member of Parliament. In 1717, Alexander married Anne, daughter of Sir Robert Laurie of Maxwelthoun, and was the direct ancestor of the Right Honorable Robert Cutlar Fergusson, son of Alexander, a distinguished Scottish advocate. This Robert was born in 1769 and represented the Cutlars of Orroland as well. He practiced law in Calcutta, India. He also served as a Member of Parliament for Kirkcudbright in 1826. He became a member of the King’s Privy Counvil in 1834. In 1832, he married Maria Josephine Auger, and with her, had issue named Robert Cutlaw and Adelaide (married Monsieur de Forcade). 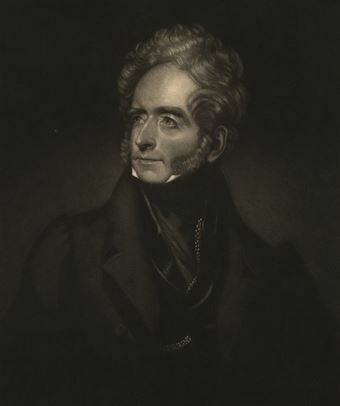 He died in 1839 and was succeeded by his son Robert Cutlaw Fergusson, Esquire of Craigdarroch, and of Orroland, who was a Justice of the Peace born in 1836. In 1854, he married Elia Frances Catherine, daughter of Sir Archibald Alison, Baronet and had issue with her as follows: Robert Cutlar, Archibald William (Lieutenant of the Rifle Brigade), and Alexander Edward. He died in 1859 and was succeeded by his son, Robert Cutlar Fergusson, who was an Esquire of Craigdarroch, county Dumfries, as well as a Justice of the Peace and Lieutenant of the Scots Guards, born in July of 1855. The Ferguson Arms are blazoned as follows: Argent, a lion rampanr azure on a chief gules a star between a cross-crosslet fitchee and a rose of the field. Crest: A dexter hand grasping a broken spear bendways proper. Sir Charles Fergusson, 7th Baronet, of Kilkerran in county Ayr was born in 1865 and succeeded his father in 1907. He was educated at Glasgow University. He was a Justice of the Peace and Lord Lieutenant of county Ayr in 1937. He joined the Grenadier Guards in 1883 and served in Egypt and World War I. He held numerous ranks until he achieved the rank of General. In 1901, he married Lady Alice Mary Boyle, daughter of the Earl of Glasgow, and had issue with her as follows: James (married Louisa Frances Stratford Dugdale), Simon Charles David (Major Argyll and Sutherland Highlanders, served in World War II), Bernard Edward (Lietenant Colonel in the Black Watch, served in World War II), Charles, and Helen Dorothea (married Major Leonard Proby Haviland). The lineage of this family traces back to John Fergusson of Kilkerran who died in 1483, having a son named Fergus. This Fergus Fergusson of received a charter of lands granted by King James III in 1466 AD. He married Jonet Kennedy and had issue with her: Duncan and John. His son Duncan of Kilkerran appears as witness to a charter of Queen Mary in 1544. He had three sons. One of these sons was Bernard Fergusson, of Kilkerran, who married Elizabeth Adair and had issue with her: Simon (married Christian Forrester of Carden, had son named John). 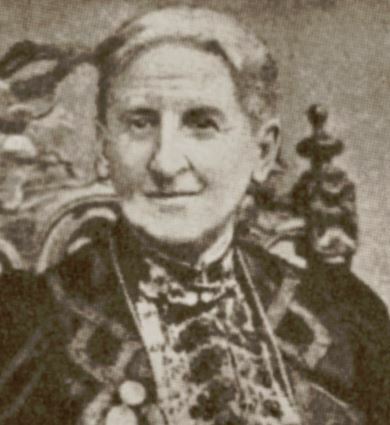 He later married Agnes Shaw, having issue with her, including a son named James. James in turn had a son named Reverend James Fergusson (born 1620), the Minister of Kilwinning. Reverend James married Jean Inglis and had issue with him. Simon had a son named John. This was Sir John Fergusson of Kilkerran who supported the cause of King Charles I of England during the Civil War and contracted large debts to raise men and horses for his service. He married Helen, daughter of Sir Thomas Kennedy of Culzean, and had four sons with her: Alexander, James, John, and Simon (married Jean Crauford of Balsarroch). His son Alexander Fergusson married Margaret, daughter of Thomas Sydserf, Bishop of Galloway, and he had two sons with her: Alexander and James. His son Alexander Fergusson of Kilkerran, in 1667 married Katherine, daughter of Sir William Weir of Stanebyres, and he had issue with her: John (of Barclanachan and Undewood, married Margaret Crauford and later Elizabeth Boswell), William (married Agnes Kennedy), and Alexander (a Captain). Sir John Fergusson, son of Simon of Auchinwyne, was born in 1653 and became the first Baronet. He acquired wealth and reputation at the Scottish Bar and was created Baronet of Nova Scotia in 1703. In 1684, he married Jean, daughter of James Whitefoord, and had three sons with her. One of these sons was Sir James Fergusson, the 2nd Baronet. James was born in 1688 and studied law at Edinburgh and Leyden. The Fergusson Coat of Arms (erroneously called the Fergusson Family Crest) has the following heraldic blazon: Quarterly: 1st grand quarters azure a buckle argent between three boar’s heads couped or, armed and langued gules for Fergusson: 2nd, grand quarter counter-quartered 1st and 4th argent, an eagle displated sable, beaked and membered gules for Ramsay; 2nd and 3rd gules a chevron betwixt three fleurs de lys or, for Broun of Colston; 3rd grand quarter counter-quartered 1st and 4th or, a lion rampant couped at all joints gules within a double treasure flory counter-glory azure, for Maitland; 2nd and 3rd, argent, a shakefork sable, for Cunninghame, 4th grand quarters or, on a saltire azure nine lozenges of the first, on a bordure of the second eight millets and as many boar’s heads erased alternately, argent, for Dalrymple. Crest: A bee on a thistle, proper. The ancestry of this branch of the family tree begins with James Fergusson of Presonpans who was born in 1766. 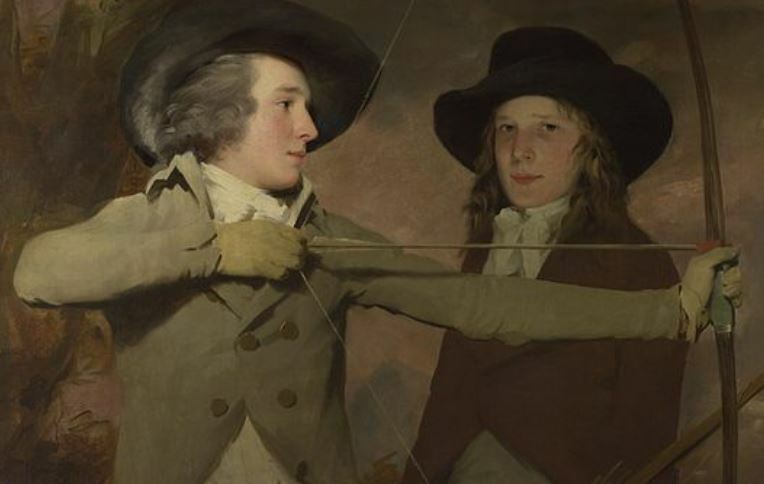 In 1793, he married Elisabeth, daughter of Andrew Hodge of Anstruther, and had issue with her including a son named William and a daughter named Jean Bell (married Thomas Melvill). His son was Sir William Fergusson, 1st Baronet, who was born in 1808, and was a very prominent London Surgeon. He was created a Baronet in 1866. In 1833, he married Helen Hamilton, daughter of William Ranked of Spitalhaugh, and he had issue with her, including James Ranken (2nd Baronet), Charles Hamilton (Major of the Seaforth Highlanders), Katherine Hamilton, and Helen Seymour. This family bore the following arms: Argent a lion rampant azure, armed and langued gules, on a chief engrailed of the last, a mullet between two cinquefoils of the first. Crest: A dexter hand grasping a broken spear in bend sinister, all proper. 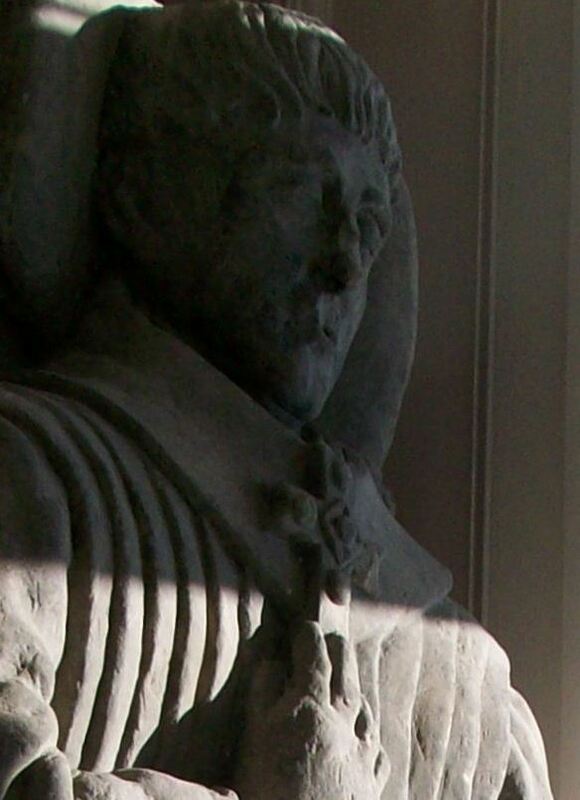 Sir John Fergusson, 8th Laird (born in 1541 AD). Sir John had issue named Thomas, John, Barbara, Robert, and Elizabeth. 1) Archibald Ferguson or Ferginson, of Marblehead, married Mary, daughter of Moses Maverwick, and died in 1698. 2) Daniel Ferguson of Kittery who married a woman named Mary and died in 1676. 3) Herbert Ferguson of Springfield who took an oath of allegiance in 1678. Other settlers in colonial America bearing this surname include: Elizabeth Ferguson (Dorchester, MA 1630), Agnes Ferguson (New Jersey 1685), Elspeth Ferguson (New Jersey 1685), Gilbert Ferguson (New Jersey 1685), Lawrence Ferguson (Virginia 1716), Henry Ferguson (Maryland 1716), Finlow Ferguson (South Carolina 1716), and Duncan Ferguson (Maryland 1716). Thomas, son of Thomas and Elisabeth Ferguson, was baptized in January 1678 in St. Michael’s parish in the Barbados. In Canada, two of the first settlers bearing this last name were John and Henry Ferguson who came to Nova Scotia in 1749. In Australia,several members of this family came to New South Wales (a penal colony) around 1830 including John (a weaver), Robert (a weaver), and Peter (a brick mason). In New Zealand, Donald, John, and Mary Ferguson who arrived in the city of Wellington in 1840 aboard the Blenheim. 1) Azure a buckle between three boars’ heads or. Carved on oak and in windows of office of Cram and Ferguson ( Frank W.), architects, Boston, 1927. 1) James Ferguson of Maryland, 1700, came from Scotland. Argent, a lion rampant azure, on a chief gules, a star between a cross-crosslet fitchee and a rose of the field. Crest: A dexter hand grasping a broken spear bendways proper. Motto: Vi et arte. We 13 two coats of arms for the Ferguson surname depicted here. These 13 blazons are from Bernard Burke’s book The General Armory of England, Ireland, and Scotland, which was published in 1848. The bottom of this page contains the blazons, and in many instances contains some historical, geographical, and genealogical about where coat of arms was found and who bore it. There are hundreds of notable people with the Ferguson surname. This page will mention a handful. Famous people with this last name include: 1) Abbie Park Ferguson (1837-1919) who was the founder and president of Huguenot College, which is located in South Africa, 2) James Alexander Ferguson (1897-1976) who was a pitcher in the MLB, born in Montclair, who played for six different teams from 1918-1929, 3) Benjamin Ferguson (born 1820) who was a farmer from Fox Lake, Wisconsin who became a Democratic member of said state’s Senate, 4) Robert Vavasour Ferguson (1845-1894) who was an American baseball player, manager, and umpire in the early days of the sport, knicknamed “Death to Flying Things” who was born in Brooklyn, New York, 5) Christopher J. Ferguson (1961) who is a retired United States Navy Captain who became an astronaut for NASA and was born in Philadelphia, Pennsylvania, 6) Adam Ferguson (1723-1816) who was a Scottish philosopher during the Enlightenment who was born in Logierait, Perthshire, also know as Ferguson of Raith, who was partial to traditional societies and is considered “the father of sociology”, 7) George Ferguson (1788-1867) who was a Scottish Royal Navy Officer born in Edinburg who served in the French Revolution and the subsequent Napoleonic Wars, as well as a Tory who served in the House of Commons in the 1830s, 8) George Ferguson (1748-1820) who was the 4th Laird of Pitfour, Aberdeenshire who became Lieutenant Governor in Tobago in the Caribbean, 9) Niall Campbell Ferguson (1964) who is a Scottish historian and Professor at Harvard University, known for his provocative and contrarian views on British imperialism, and 10) Patrick Ferguson (1774-1780) who was a Scottish officer in the British Army, an advocate of light infantry who served under General Charles Cornwallis during the American Revolution in the Carolinas, having been the designer of the Ferguson rifle, one of the first breech-loading rifles. The main symbol in the Ferguson Coat of Arms (erroneously called the Ferguson Coat of Arms) is the boar’s head. In the middle ages, the wild boar, a far more fearsome creature than its domesticated relative, the pig was a much more commonly seen animal than today. It was also known as a sanglier. It can appear in many of the same poses that we see for the lion, but has its own (easily imagined!) position known as enraged! We should not be surprised then that this “fierce combatant” is said to be associated with the warrior. The main tincture (color) was azure (blue), which represents the sky on a clear day, and signifies sincerity, piety, truth, loyalty, chastity, faith, and strength. A very good write up , thank you for doing such an investigative work. You should probably include Sir Charles Fergusson as the 9th Baronet and current Chief of the Name. He is in Kilkerrran in Ayrshire. He is a wonderful man with a lovely family. His father was the late Sir James Fergusson who written many books and was for 20 years the Keeper of the Records of Scotland. I am looking to purchase some items here. would like permission to use some of the language here for our Clan Fergusson Society, please contact me.